See Switch n Play in Brooklyn! 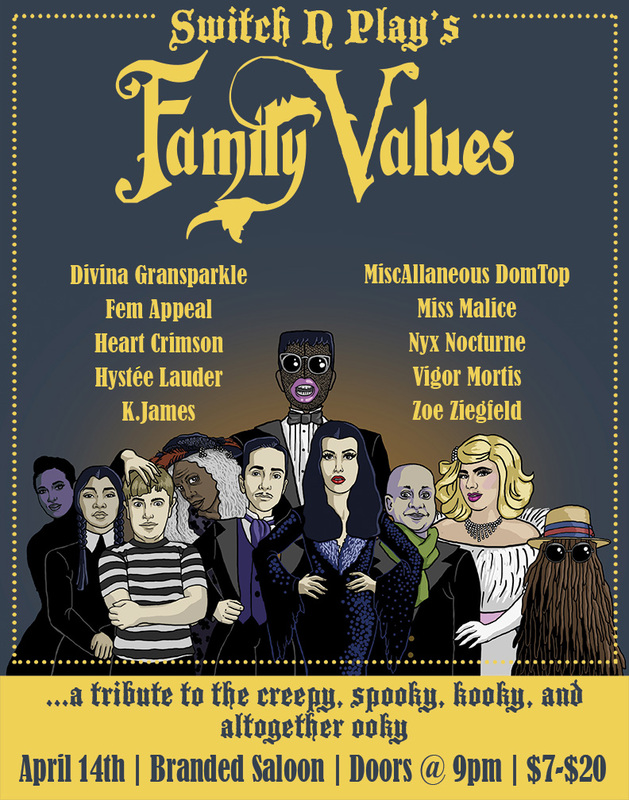 See us at National Sawdust for VAMP on January 25th! TICKETS HERE. Switch n' Play currently produces a bi-monthly drag and burlesque show at Branded Saloon in Prospect Heights on every 2nd and 4th Saturday of the month. Purchase pre-sale tickets for guaranteed seating at upcoming Branded Saloon shows here with code "SNPFAM." Additional tickets are available at the door at 9 PM on show nights.